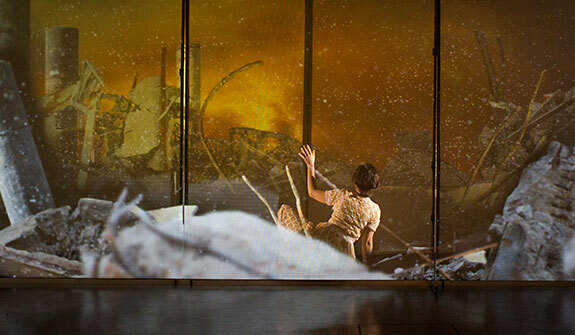 A lamentation of fierce urgency, the latest multimedia production from Cloud Eye Control is an imagistic, visceral work inspired by the nervous fear felt in the wake the 2011 Fukushima Daiichi nuclear disaster. Half Life explores the psychological fallout of global disaster, and how it affects our emotions and imaginations. 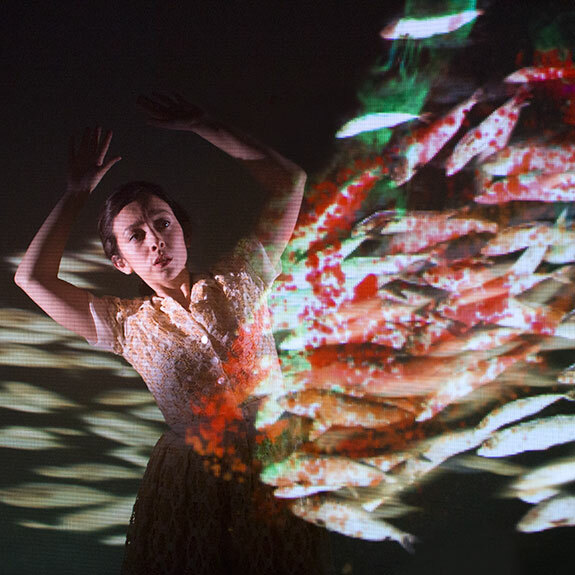 The Los Angeles-based collaborators— Miwa Matreyek, Anna Oxygen, and Chi-wang Yang —bring their signature mix of projected animation, live performance and music to summon the unseeable forces that govern our collective sense of personal safety and control. For touring and presentation inquiries, please contact us at cloudeyecontrol@gmail.com. 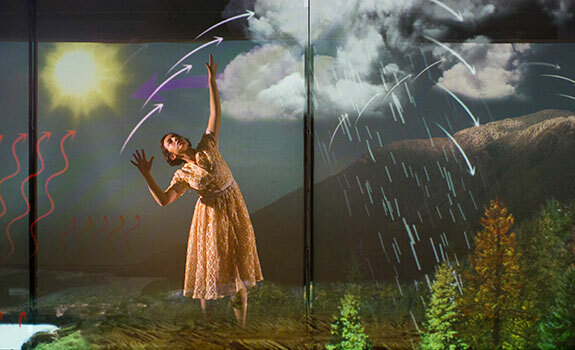 Half Life is funded in part by the New England Foundation for the Arts’ National Theater Project with lead funding from the Andrew W. Mellon Foundation; the LEF Foundation; and The MAP Fund, a program of Creative Capital, primarily supported by the Doris Duke Charitable Foundation. 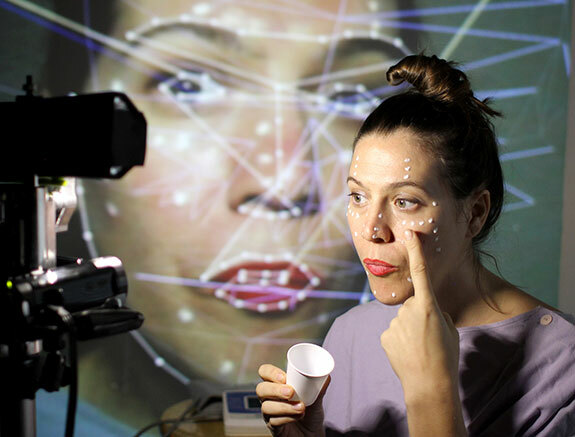 Half Life is produced with Los Angeles Performance Practice, and was made possible in part by creative residencies at the Headlands Center for the Arts, CalArts Center for New Performance, and Duke University.